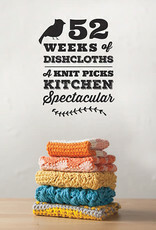 Celebrate the humble kitchen dishcloth with stunning stitch patterns in both knit and crochet! 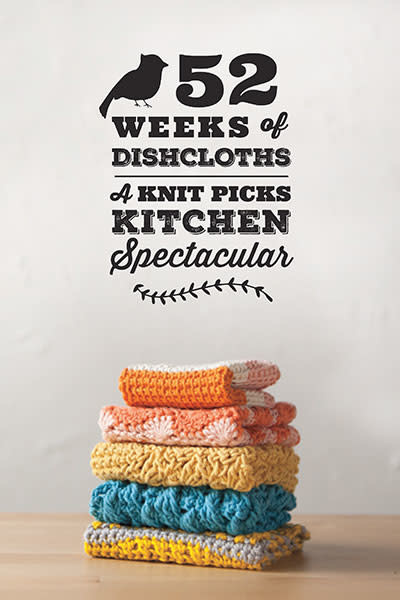 52 Weeks of Dishcloths: A Knit Picks Kitchen Spectacular features designs previously published on the Knit Picks website as well as 8 brand-new bonus patterns. From slip stitches to animal faces, bobbles to Tunisian crochet, you'll learn new stitches and practice old favorites as you craft a dishcloth collection worthy of any stylish, modern kitchen. Book includes 60 patterns.